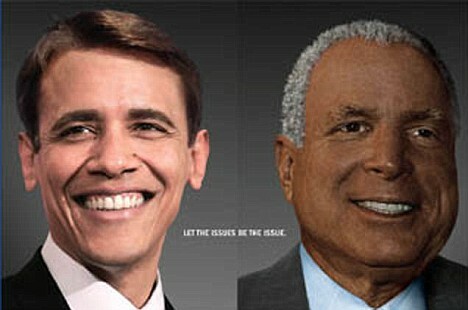 In this poster, put up in Manhattan on the eve of poll, Barck Obama is turned into a white man and John McCain is made black. The poster is designed to make the electorate focus on policy and not race. This style of photographic manipulation has been used by the ‘Kick racism out of football’ campaign in the UK and always powerfully relates the futility of those that judge people on the basis of their skin. A fantastic poster and hopefully an effectual one.